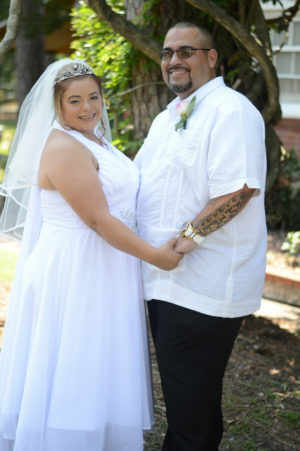 Juanita Wade and Ivan Luis Ramirez were united in marriage Saturday, July 28. 2018 in the Ivory Chapel at Wedding Chapel by the Sea in front of Family and Friends. Janet Aniello officiated. After a honeymoon in Myrtle Beach, SC, Ivan & Juanita will reside in Fairfax, Virginia. We at Wedding Chapel by the Sea wish the Ivan & Juanita a long and happy life together. We thank you for letting us share the joyous day with you and your family & friends.